Our goal is to connect people with the best local experts. We scored wedding photographers on more than 25 variables across five categories, and analysed the results to give you a hand-picked list of the best wedding photographers in Sugar Land, TX. Carlino's Photography is a professional photographic company that was established in 2003 and is based in Richmond, Texas. The company specializes in a wide range of different photographic services, including weddings, portraits, real estate shoots, and headshots. Past clients of Carlino's Photography praise the company's high quality processed images, editing, and enhancements skills, quick turnaround times, and commitment to excellence. Owner and photographer, Alison, maintains a broad array of past shoot images on her website for the benefit of any prospective clients. Interested parties can get in touch with her by phone or email to set up an appointment or request a quote. Carina Walker works as a wedding photographer for Carylux Photography. She adopted the name because her father used to call her by that nickname while she still lived in Argentina. The name meant that she brought light into their lives, and she co-opted it to reference how she uses light in photography to convey emotions and the special moments associated with each couple’s wedding day. Ms. Walker began taking an interest in photography at 7 and studied the profession in the United States. Carylux Photography features a diverse collection of portfolios, so prospective couples can determine if her quality and style would work for them. Customers can choose between four different pre-made packages based on the number of pictures they would like and how much time they have with the photographer. 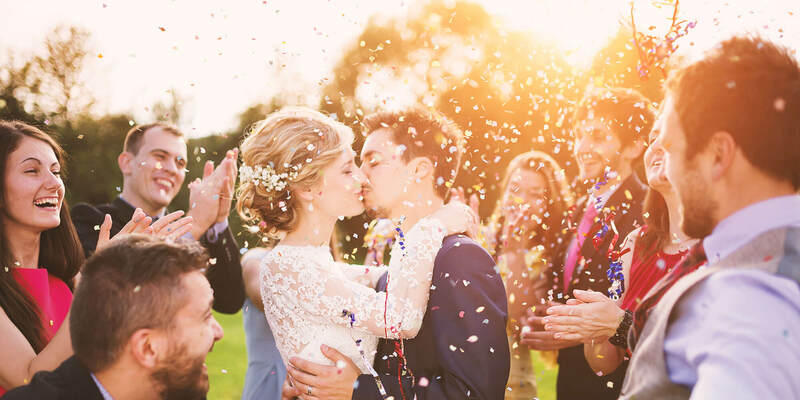 In Houston, the photographers and videographers at Chhaya Photo Studio can provide an impressive variety of image services for clients including wedding, engagement, maternity, children and family, and graduation videos and photos. Their well-recognized company places a special focus on Indian weddings and destination events, building a talented name for themselves in that niche over the years. Chhaya Photo Studio offers an impressive amount of information on their professional website, including the type of cameras and equipment used for all projects, the possible prices associate with any photo or video session, and many previous photos from completed projects which effectively showcase their exceptional talent. Based in Sugar Land, Katy, and the Houston areas, Clayton Wallace Photography's passion is noticeable for expertly capturing and preserving precious moments in time. Their business is able to effectively provide beautiful finished images for a wide variety of events including weddings, commercial parties and openings, children and family moments, and much more. Clayton Wallace Photography sets itself apart from other competitors by keeping online proofing and purchasing of products easily available through a password-protected album, by offering to travel free of charge to any specified Greater Houston Area location, and by keeping prices as affordable as possible to all present and future clients. Grif Kolberg Photography captures weddings, engagements, and high school senior portraits in Houston, Texas and the surrounding area. Wedding photography packages include a custom USB drive with the final selection of high-resolution images, an online photo gallery to share with friends and family, a custom slideshow, and printing rights on all delivered photographs. Couples can expect final edited images within four to six weeks of their wedding day. Grif Kolberg Photography is also available for head shots and group photography services. Grif Kolberg's photographic style of creating modern and clean lines with vibrant imagery has been recognized with a Couples' Choice Award from Wedding Wire. Imagine That Pix is a professional wedding and family photography company with work featured in the Hall Of Fame. Heather started her business in Houston by bartering students for Facebook headshots around the time the site was getting its initial users. Since graduating from HBU, she has honed her craft and gotten certified by the New York Institute of Photography. The blend of styles Heather uses for her photography is photojournalism mixed with portraiture. Her specialty is outdoor photography. Her work is featured in both Fort Bend Star and City of Sugar Land publications. CNN Money has featured her company on their show, and she has received awards for her great photography work. Nick Sanford Photography serves customers around the state, the nation, and the world with a full range of professional portrait services. From weddings and Quinceaneras to engagements and family portraits, the photographer loves to create images that expertly capture each subject’s personalities and emotions and make memories of special occasions that customers can share and enjoy for years to come. Whether customers just want coverage of the wedding day or want to go all-out and purchase an engagement session and bridal portraits, the photographer goes above and beyond to produce a fun blend of formal and casual shots the whole family will love. His work has been featured in Sugar Land publications as well as in Voyage Houston, and customers can browse the website to see portfolios of work, read about package options, and send a message to get started with a consultation. RH Photoarts is a professional photography business located in Houston, Texas that serves clients in the wider local metropolitan area and beyond. The company specializes in wedding photography coverage and also provides clients with engagement photo shoots. Additionally, RH Photoarts is also available for bridal photo sessions. The company has a social media presence on Facebook, Instagram, and Pinterest and can be contacted for booking or inquiry purposes by phone, via email, or by filling out the messaging system on the company's official website. RH Photoarts is also a specialist in fashion photography services and is open Monday through Friday. Stella Coupé is an experienced and professional photographer with a studio based in Rosenberg, Texas. Stella offers high-quality, creative, long-lasting images that can be cherished for generations to come. Stella, a native a France, brings a unique and unmatched level of artistry and high-fashion to her photos. Her images are bold, awe-inspiring, and imaginative, and are each designed to bring out her clients' most beautiful self. The studio can work with any budget and offers varying payment options, as well as a 100% money-back guarantee. Photography options offered by Stella include child photography, teen and senior portraits, fitness and sports photography, boudoir sessions, maternity and newborn photography, conceptual and artistic sessions, fashion photography, glamour shots, bridal and wedding photography, and pet photography. Beautifully capturing wedding and portrait images, Taylor Elizabeth Photography is a Sugar Land-based company that delivers genuine and lovely moments frozen in time. Taylor, the owner and photographer, is highly reviewed for her approachable demeanor, and she goes to great lengths to make each session as customized and affordable as possible for all clients. Terrific Shots Photography, professionally serving Sugar Land and beyond, skillfully gives a variety of photo session options including wedding, individual portraits, maternity, newborn, child and family, and much more. Their successful company is a flexible and convenient business option due to their spacious and comprehensive studio, their willingness to extensively meet and plan with clients, and their focus on remaining budget friendly. Terrific Shots Photography keeps their prices readily available on their business website, maintains a large gallery of previous photos online to properly showcase their quality work, and stays quickly available to consult with any interested present or future clients. Visual Cloud Productions is a business that provides photography and videography services and has more than four years of combined experience. The business provides wedding photography, wedding videography, bridal photography, engagement sessions, portrait photography, corporate event photography and videography, cinematic home tours, and music video production. Visual Cloud Productions also provides photography and videography for events such as retirement parties, family reunions, quinceañaras, and graduations. The business provides a variety of customizable packages for photography and videography. Visual Cloud Productions also offers web design, logo design, and promotional photography and videography for businesses. Clients remark on their quality of work, professionalism, and customer service.